I would love to win this – Target is my favorite :-). Thank you so much! You are so generous! I love these contests, thanks!! I already lik eu on FB!!! I follow you on facebook since you have so many awesome deals posted! Wow, thanks so much again for all this! Thanks for all the great giveawys ! Entry #2 I am a big fan and a fan on facebook. Thanks for all the great info and savings. This site rocks I recomend it to everyone i know that shops Target. I already like Totally Target on Facebook! Thanks! I would love to win the gift card. I love target! How cute! I’d love to win this! Maybe this time will be lucky for me. I would love to win! Thank you for the giveaway!! I have already liked totally target on Facebook. I love all the updates you give. Thank you! Totally target has helped me do all my Christmas shopping! I love it! I am new to your site, but I absoulutely love how quickly you update your posts and add new content. My savings at Target have increased since coming across your site. Thank you! Super cute! I love your site and since Target is practically across the street I check in before every visit to make sure I don’t miss a thing!! Love these gift card giveaways. Thanks for the opportunity. Adorable gift card. I would love to win. 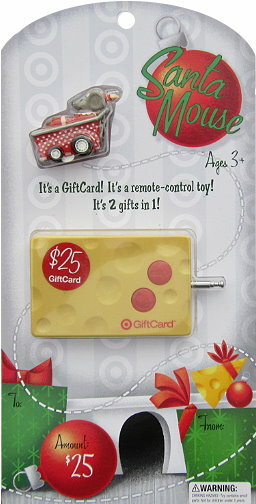 That is the cutest gift card! Would love to win! I already like/love Totally Target on FB!